Generally, when I write about books here, it’s a review of a book I’ve read. I read and review perhaps 50 books a year. There are many more I’d love to get to, but… so many books, so little time. And if I don’t read it, I won’t review it. But sometimes a book will catch my eye for some reason, and even though I don’t have time to read it myself, it’s interesting enough to mention here. This is one I found in Joel Friedlander’s cover design awards. 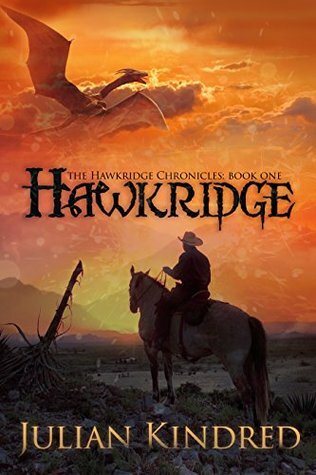 I love a book that blurs genre boundaries, and this one does it in glorious style – it’s a fantasy western, complete with ranch hands roping… wait for it, dragon calves. Wonderful! Here’s the cover and blurb. Note that I haven’t read this, but if anyone has, do post a comment. Colt Hawkridge thought he was content with his life on the frontier, wrangling drakes and working the ranch. Good, honest work, even if a body risks getting mauled. But when he tracks down a runaway drake calf to the edge of the Hawkridge Mountains, he discovers a danger that threatens everyone he knows, and makes an ally who seems intent on throwing him into dangerous situations for the fun of it. With the help of a half-goblin slave girl and a sickly mage, and armed with an orewood sword housing the spirit of a dryad, Colt must escape an underground labyrinth, rescue a bunch of slaves, and save Drake Iron ranch from a horde of goblin raiders.